Drinking water can either be an easy solution for your health or it can be a difficult one. Some people love water, some hate the “taste” of it. Whether you are a fan or not, water is an amazing tool that can heal and help our bodies. It is essential for life! We have all heard that water is important for our bodies to be healthy. The average person is 57-60% water. Holy cow, that’s a lot of water! When I hear that, it makes sense that when we are not refueling our bodies with water, we don’t feel good. If you think of a plant that hasn’t been watered for some time, how does it look? The dirt gets dry and cracked, the leaves get wilted and weak. We are the same way! Our skin gets dry and we fill weak. Not to be gross, but using the color of urine to know if I am on track with hydration is an easy way to gauge! Or if I feel I have a headache, I know I need to drink more water. Even more than drinking water for health, drinking water can help us lose weight! How Does Drinking Water Help Me to Lose Weight? Drinking more water can help one lose weight in a number of ways. It may seem backwards, but when we drink more water, our body will let go of excess water that it is retaining. If we are depriving ourselves of water, our body will hold onto whatever it can. By hydrating ourselves, we are allowing our body to let things flow because it knows that there is plenty. When you wash a dish or pan that has baked-on food, you use lots of water to scrub. The same can be done for our bodies. Use lots of water and the scrubbing is when detoxing takes place on the inside. Detoxing the body takes out toxins that have camped out inside our bodies and releases them. This can include things like soda, sugar, alcohol, unhealthy foods and more. Detox can be done by sweating, cutting out toxic habits, drinking water, fasting, and more. Fasting is one way to detox the body. Make sure if you are under doctor supervision, that you talk to them first before participating in a fast. Because you are detoxing, your body is changing and you want to be safe. Sometimes the first 1-3 days can be a challenge when doing a detox because our bodies are processing the toxins and changes are being made. This can include headaches, body aches and grumpiness. But after that, most of the challenges become background noise. To see more on the positive effects of fasting using water, check out “The Science Of Fasting“. There are a few simple solutions that can help with drinking enough water each day. Keeping a self-care chart on your fridge or by your bedside as a reminder may help to keep you on track with your water consumption. I created a simple chart that not only tracks your water intake, but it includes self-care for a day! You can laminate this and reuse each day, or make copies for personal use. Something about an encouraging, beautiful or unique water bottle can help to keep us on track to drinking our water each day! I have water bottles and cups that are my favorites, and help to encourage me to keep drinking! There are lots of fun water bottles to help keep track of how much you drink! 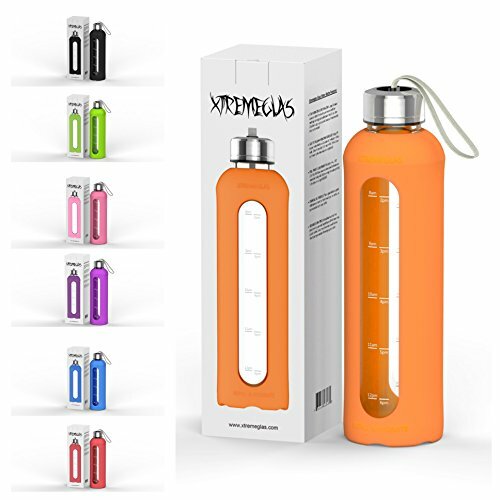 This bottle can hold hot or cold drinks! There are a number of apps available that are free. Play around and see which one works best with your personality and your personal needs. It should be something that you feel you can integrate into your daily habits. Water Tracker App – Keeps track of how much you have drank by entering after each glass. Water Reminder App – The obvious . . . it will remind you to get on the ball and chug the water! Pick a system that works best for you that you know you will stick with! My oldest son recently reminded me of when he was younger and how he would tell me that he “didn’t like the taste of water“. We had a good laugh over that! Thankfully is now a fantastic water drinker! Now he carries around a nice water bottle to encourages him to drink, or keeps a big cup of water in his room at home to remind him to drink. If it is fresh and cold, he’s more likely to drink it! Sometimes I want a boost to my water. I hear you fellow soda drinkers, it can be a tough switch to go from flavored drinks with caffeine to water. I have cut out soda from my life, a couple times. I have also had the experience of water giving me energy and brought me back to life! I have found that my soda stream is the perfect solution! I can flavor my water and have the bubbles I enjoy! Tea not only is made with water, but it contains antioxidants and offers less caffeine than coffee. Seems like the perfect solution if you are trying to kick the soda habit and you can still get a little caffeine! Here are a few foods that have high water content and can help you stay hydrated. There are many different ways you can keep water flowing into your body to help you to feel good and lose weight. Try some of these ideas, some may not be a good fit, and see which ones work best for you and stick with it for 30 days. After the 30 days, you will be amazed at your progress . . . . then KEEP GOING! Take baby steps, give yourself grace, and keep making progress. I will be chugging water right along with you! Every day is a new day to work on increasing your water intake. I understand in the beginning it can be a challenge to be consistent. However I feel different when I don’t drink enough water, and I feel fabulous when I do. That is one reminder! If you feel you need some extra support to help drink more water each day, joining our Facebook group can help. I also have an EFT script to help you overcome any issues you may have with drink water in my quick tap post. My goal is to pick a new tool or two and implement what I have learned. I know how wonderful it feels to be hydrated. That feeling is what I will use to keep moving forward and filling my glass each day! Not only will I feel better, but I am confident that I will start losing the weight too! Join me! 1 Can Drinking Water Help You Lose Weight? 1.0.0.1 It is essential for life! 1.2 How Does Drinking Water Help Me to Lose Weight?